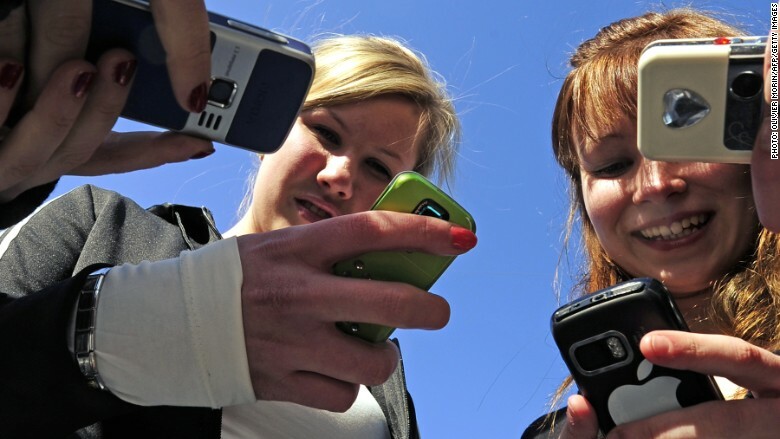 The time young people spend online has tripled in a decade. If you've ever come between a youth and their smartphone, you'll know this already: They love the Internet. So much that they now spend more than one day a week online. A new survey of British youngsters found the time they spend online tripled in a decade to more than 27.5 hours a week at the end of 2014. It's not just people in their late teens and early 20s who are gorging on the Web: The average adult Internet user claims to spend over 20 hours online every week, double the time from a decade ago, according to U.K. telecoms regulator Ofcom. Last year alone, the average time spent online climbed by 3.5 hours per week. The rapid growth in the use of smartphones and other mobile devices is behind the surge. Tablets such as Apple (AAPL)'s iPad, launched five years ago, have rapidly moved mainstream, changing the way people use the Internet. "The amount of time people are online while 'out and about' - away from home, work or their place of study - has increased fivefold over the past ten years, from 30 minutes in 2005, to nearly two and a half hours in 2014," Ofcom said. The study also found that Internet users can be careless when it comes to protecting themselves online. "The majority of internet users (68%) are happy to provide personal information online in the belief they will benefit in some way," Ofcom said.